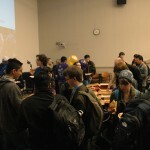 University of Washington students crowded into Mary Gates Hall last fall for the third-annual Robinson Center Alumni Speaker Series. Many shouldered backpacks of books in anticipation of mid-term exams. The event’s topic—Startups & Entrepreneurs—energized students to appreciate that today’s studying can blossom into tomorrow’s business opportunity. From computer science to liberal arts, the UW is world-class incubator for innovative thinking. “The Robinson Center has alumni who are doing amazing things. It’s an incredible resource. 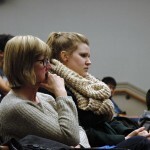 We want to formalize those connections and bring former students to speak to current UW students,” says Christina Chan, the event’s moderator, Robinson Center alumnus and 2007 UW graduate. “Seattle is a very good place to be entrepreneurial. There are great people to be around from the University of Washington as well as friends from the Robinson Center (RC) who are fantastic,” shared panelist Lukas Svec, a 2008 UW graduate currently pursuing a Ph.D. in physics. Svec’s entrepreneurship was unexpected and born from personal passion. A culinary enthusiast, Svec saw a market to develop an at-home sous vide machine—a water-bath, cooking technique. The three-employee company, Sansaire, launched in September 2012 and subsequently raised over $800,000 via Kickstarter crowd sourcing. The product will publicly launch in December 2013. Students and parents were quick to inquire about Svec’s funding process and the nuts-and-bolts of getting a business underway. French cooking and perfecting his duck preparation helped inspire Svec’s startup. Panelists Jason Tan and Allen Chen, however, shared how entrepreneurship can also be a viable career path without a specific business concept. “I vividly remember feeling when I was 6-years-old that owning a hot-dog stand was my calling. It seems a bit silly, but thinking about it now, it does involve the skills, patience and execution that any business requires,” says Allen Chen, a 2007 UW graduate. 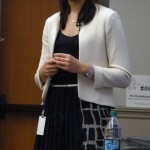 Chen is chief executive officer of CloudPress, a tech startup launched in January 2013 that helps companies develop effective, online merchandising experiences. 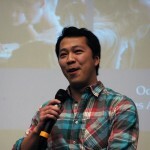 Chen left a lucrative career at Amazon and opted out of pursuing a master’s degree in business to launch his startup. 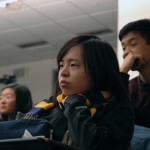 Humorously referring to the transition as his “quarter-life crisis,” Chen encouraged students to remain flexible when planning their futures. He partially credits his RC experiences for encouraging thinking outside the box. 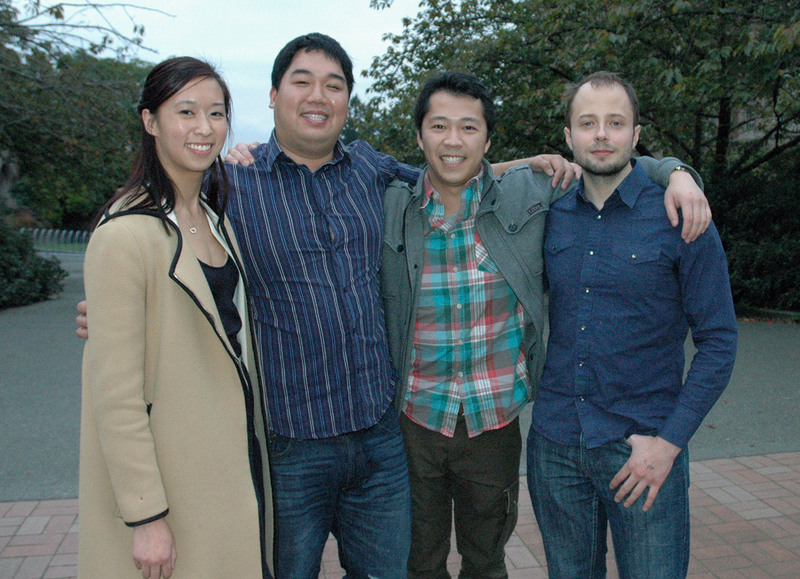 Jason Tan has been involved in numerous startups—BuzzLabs, Optify, Zillow—since graduating from the UW in 2006. He is currently chief executive officer at SiftScience, which helps protect businesses from falling victim to fraudulent, online activity. 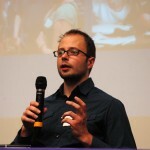 He encourages students to consider both the societal and individual benefit of entrepreneurship. Tan’s original, post-college aspirations were to assimilate into the corporate world. Disappointed by a lack of job offers, he was forced to consider other career options. He adamantly encouraged students to prepare for inevitable professional detours and embrace them as opportunities. As the third-annual RC speaker series wrapped, the purple-and-gold audience converged on the speakers to ask further questions—what college clubs should I join, what competitions should I pursue, how do I incorporate my business? They eagerly feasted on the answers while simultaneously snacking on a smorgasbord of pizza. The alumni answered all questions and encouraged students to remain passionate while practical. 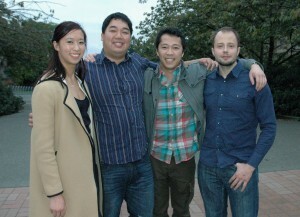 RC alumni talk about their entrepreneurial experiences. Christina Chan introduces panelists Jason Tan, Lukas Svec, and Allen Chen. Lukas Svec’s sous vide circulator raised more than $800,000 on Kickstarter. 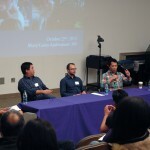 Allen Chen talks with Robinson Center students. Robinson Center students listen at Start-ups and Entrepreneurs. Audience members listen to Robinson Center alumni. Students, their parents, and staff listen to RC alumni. 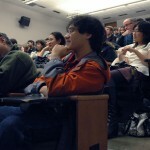 A student listens to the panelists.